Pound Cake a rich tradition and history! As a kid most sweets are devoured quickly. I realized after the first bite that this cake required time and attention. The cake was so dense and didn’t crumble like a regular cake. The taste was sweet and stayed in my mouth long after I finished swallowing. The icing had a rough texture but at the same time it was smooth. I noticed that it was a light brown cake, not dark like a devils food cake. I wanted more cake and I wanted to know more about THIS cake. I had no idea that there would be so many old cookbooks, binders of handwritten recipes and a 12X12 box filled with scraps of paper of handwritten recipes, bank books with recipes scrawled on the back cover and a collection of newspaper and magazine recipes that I am sure the editor of Southern Living would kill to have. These recipes made real the folklore of our family. Finally having these recipes offered me the opportunity to connect with my ancestors in a way I never could before. The recipes that called for a “Granny’s hand full of sugar”, made me realize how petite my great grandmother was compared to the rest of us. These recipes helped me to imagine Granny standing in the very kitchen that my Great Aunt Rosie made my favorite Chocolate Pound Cake. Now I have that recipe and can stand in my own kitchen and share baking it with my daughters. What is it about a pound cake that is so intriguing and long lasting? At it’s most basic form it is an easy cake that anybody can bake. The humblest of no-reading servants to the most confident of chef have made this cake. It probably started as a practical recipe. Let’s face it a cake that is made of four pounds of ingredients is going to serve quite a few people for quite a few days. The pound cake is a most versatile baked good that can be served at every meal from breakfast toast to and extravagant after dinner dessert. Have you ever had a piece of pound cake toasted and slathered with butter or strawberry jam? Magic! My mouth is watering already! 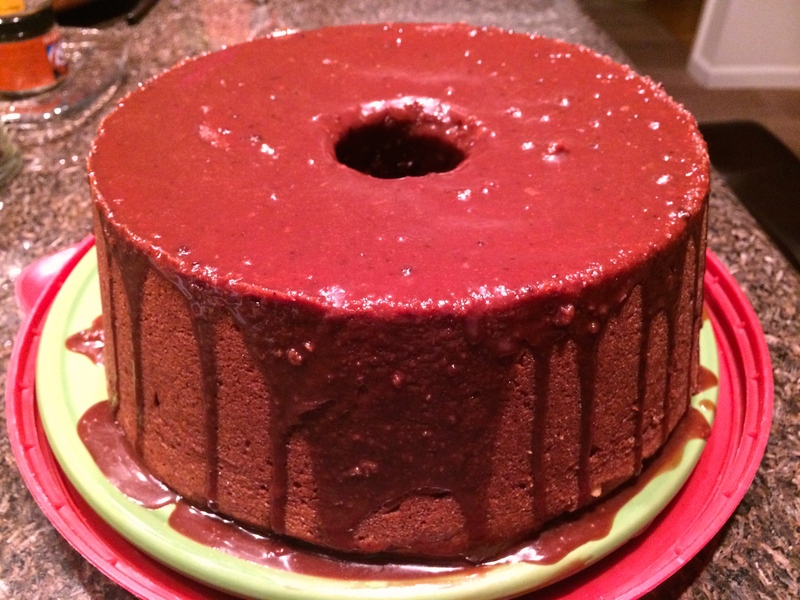 So today I share that first chocolate pound cake recipe with you. Soft together all dry ingredients. Add dry in gradients to butter mixture in thirds alternating with milk. Add vanilla. « Let’s try something new! 4 Comments on Pound Cake a rich tradition and history! I don’t know when exactly that I will make this beauty but I know it will be one day soon! Thanks!! i was hoping you would try it.